This is an optional RPM Rear A-Arm Set, and is intended for use with the Traxxas Slash 2wd short course truck. RPM introduced their line of green parts not long ago for the Monster Jam series of Traxxas vehicles. Several of those parts also fit other Traxxas vehicles and RPM fans wanted more! 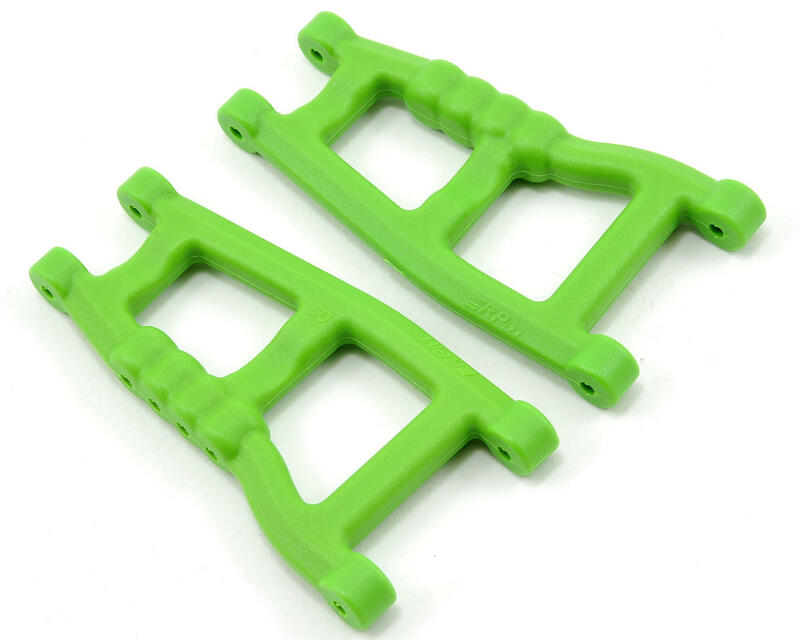 Now anyone can combine a set of presently available RPM80244 front A-arms with these green Slash 2wd rear A-arms for that uniform green look you’ve been waiting for, front to back. 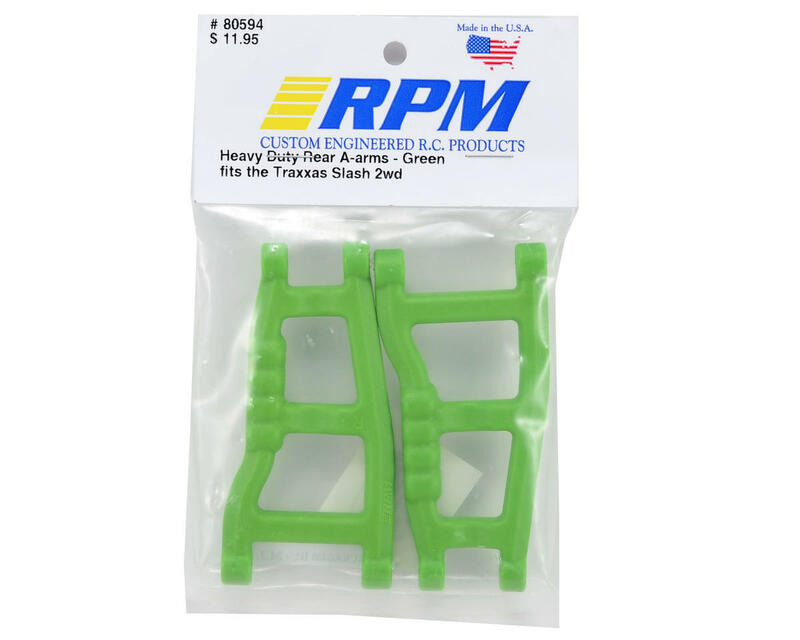 All RPM green parts are molded in RPM's ultra durable blend of nylons for the best possible crash protection possible and backed by their limited lifetime warranty against breakage.